The Libor rigging scandal is just the latest example of immoral or risky behaviour that has brought the industry into disrepute. The fact that bankers are still overpaid and need further bailouts at a time when Western economies are struggling makes the public’s blood boil. The UK government ordered an independent review on June 30 into the workings of key lending rates between banks, after U.S. and British authorities fined Barclays $453 million for manipulating the London Interbank Offered Rate (Libor). 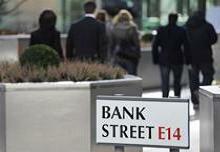 There will also be a second review into the professional standards and qualifications of bankers. Ed Miliband, leader of the UK Labour Party said on June 30 that there should be a full-scale public inquiry into banking culture and practices. Barclays Chairman Marcus Agius quit on July 2, saying that the interest rate rigging scandal had dealt “a devastating blow” to its reputation. The board also announced a “root and branch” audit of business practices within the company to be led by an independent third party. The U.S. Department of Justice statement of facts document released after the fine showed that a conversation in October 2008 between a Bank of England official, confirmed to be Deputy Governor Paul Tucker, and a senior Barclays official, believed to be Bob Diamond, led some at Barclays to believe that the bank had been granted permission to submit artificially low Libor estimates. Barclays Chief Executive Officer Bob Diamond will appear before the Treasury Select Committee on July 4 to answer questions about the scandal.